Who doesn’t want an instant burst of flavours in their food? Instead of going crazy sourcing flavours and then worrying about their measurement in your dish, go for a flavoured butter – sweet, savoury, fruity and vegan – from Little Treats, a home venture started by Sunita Pradhan, a dentist who got experimenting in her kitchen thanks to her being homebound after the birth of her first child. Why butter, you ask? Because as she was experimenting, she realised there is hardly anyone who is flavouring butter; and Little Treats was born. Up and running since almost two and a half years, she sells these flavour packed bottles at her home, and also on Scootsy. 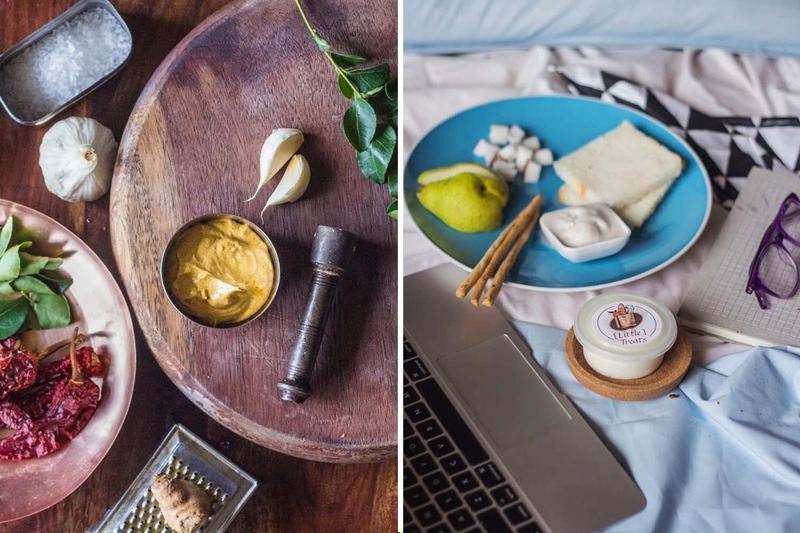 Sunita Pradhan makes handcrafted compound butters – basic unsalted white butter mixed with flavours you can’t even imagine. She does savoury butters which includes flavours like thecha, kadipatta (curry leaves), roasted bell pepper, tomato garlic basil better and more. Her range of sweet butters include honey, caramel and chocolate. Next comes fruit butters which are seasonal, which means she was recently doing mango butter (for real!) and will soon start using strawberries. And then there are vegan butters which has variants such as coconut, almond, cashew and mixed butters. You can include these in your baking, simply eat it between slices of bread, or use them (the savoury ones, especially) to saute and enhance meat, fish and eggs. They are priced at INR 200/100 gms. But the special ones – nut butter, and wine butter – are priced at INR 275/100 gms. And wait, there’s more. She also customises these butters to suit your flavour needs, which includes Jain butter. Reach out to her on her Facebook, Instagram or call her on +91 9820305472 to place your order. Once prepared, you can either pick it up from her house, or she’ll have them delivered to you on additional cost (delivery charges). Order some of Little Treat’s flavoured butters and relish a burst of flavours in whatever you choose to add it to.